Hey, everyone! 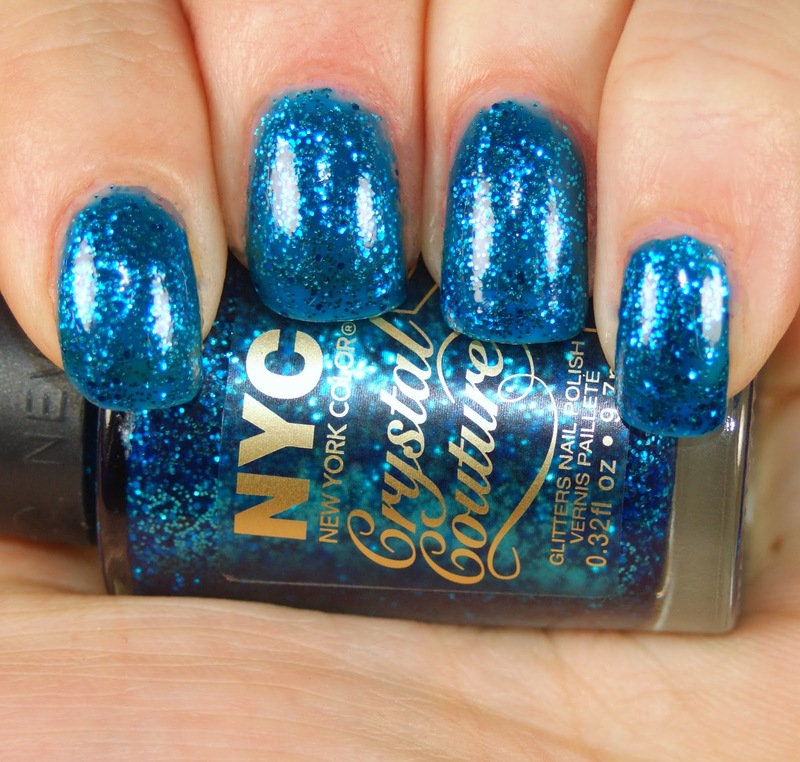 Up on the blog today is a new, limited edition collection from NYC New York Color called Crystal Couture. All Crystal Couture shades are jam-packed with glitter particles for some mega sparkle. The first shade I have for you is called Blue Majesty, a vibrant blue with matching microglitter. This applies like a jelly polish, but the above is with two coats. You can see a little visible nail line in the photo, but it wasn't visible in person. The only issue I had with this shade is that it's a heck of a stainer on the nails, not so much my skin. So I'd suggest doubling up on the base coat. Next is Fashion Queen, a burnt orange shimmer with slightly larger particles of gold microglitter. This definitely reminded me of a pile of leaves in the fall! The above is with three coats. 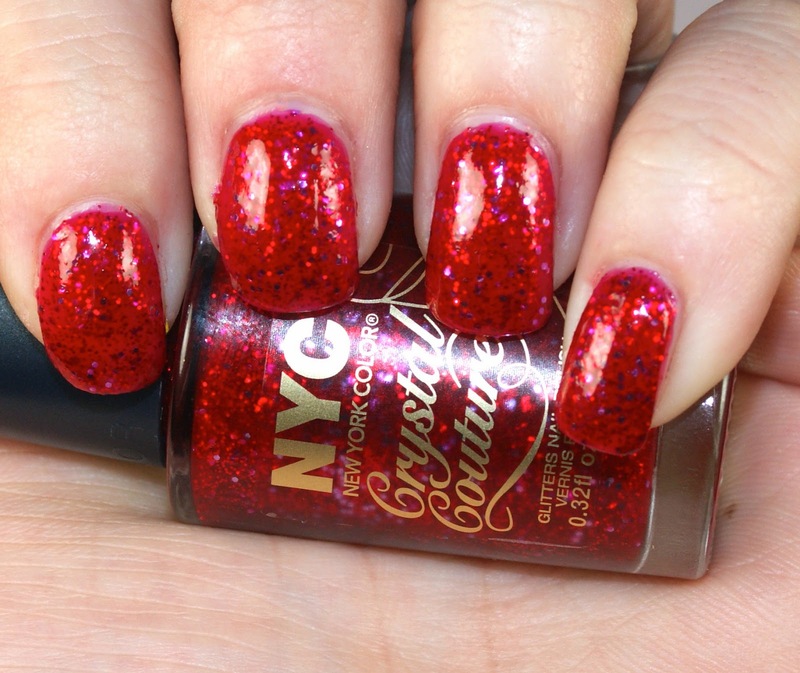 And here is Ruby Queen, a gorgeous and majestic-looking red microglitter polish. This also applies like a jelly, so I used three coats. And oh my God, is this gorgeous or WHAT??!?! After a pretty big nail art fail, I noticed that Blue Majesty layered over Ruby Queen quite nicely to make a dark and ruddy purple base with a ton of bright blue sparkle. I REALLY liked this layering combination a lot! Overall, I loved this collection. 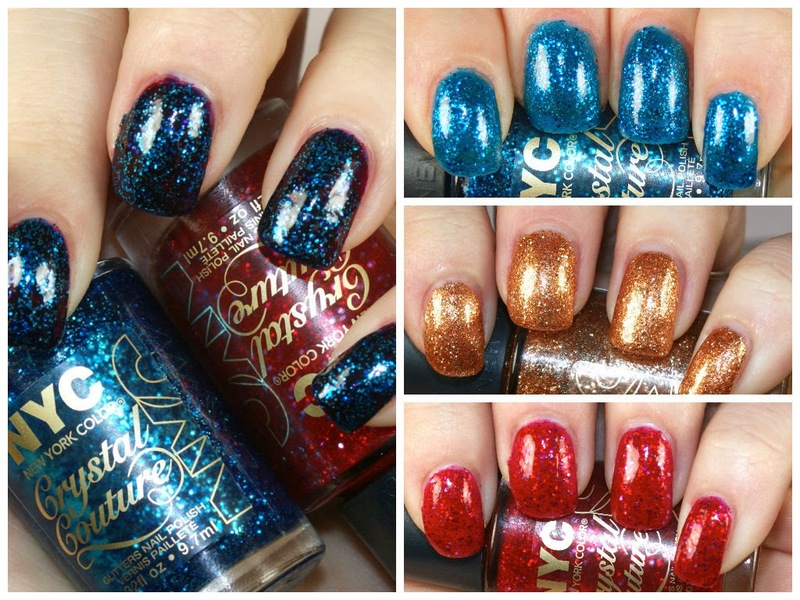 It has a lovely holiday feel to it with all the glitter and rich color, but also feels a lot like fall. 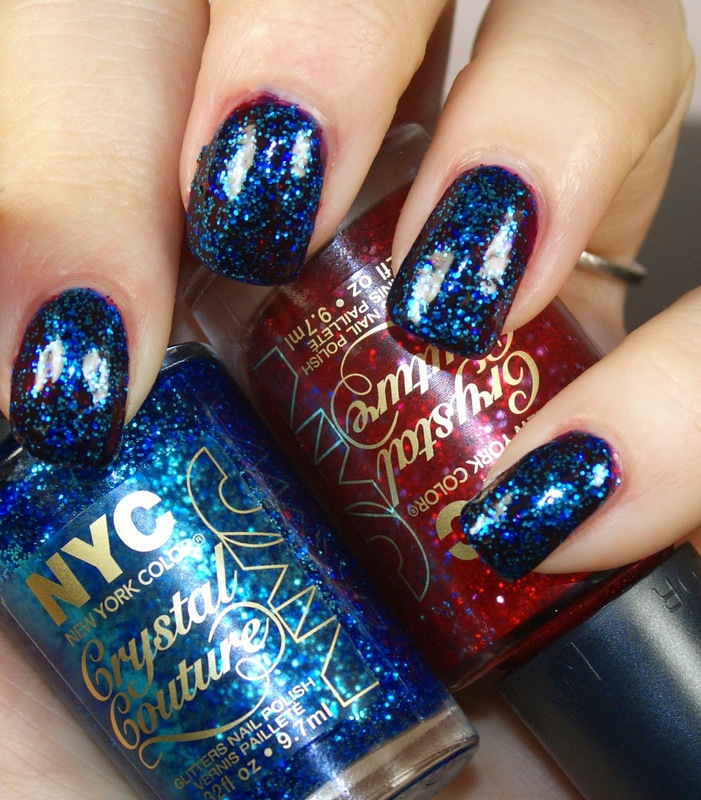 The NYC New York Color Crystal Couture Collection (Say that three times fast!) is currently available at your local drug store for $1.99. What a bargain right? I think my favorite shade is Ruby Queen. What's yours?! ?